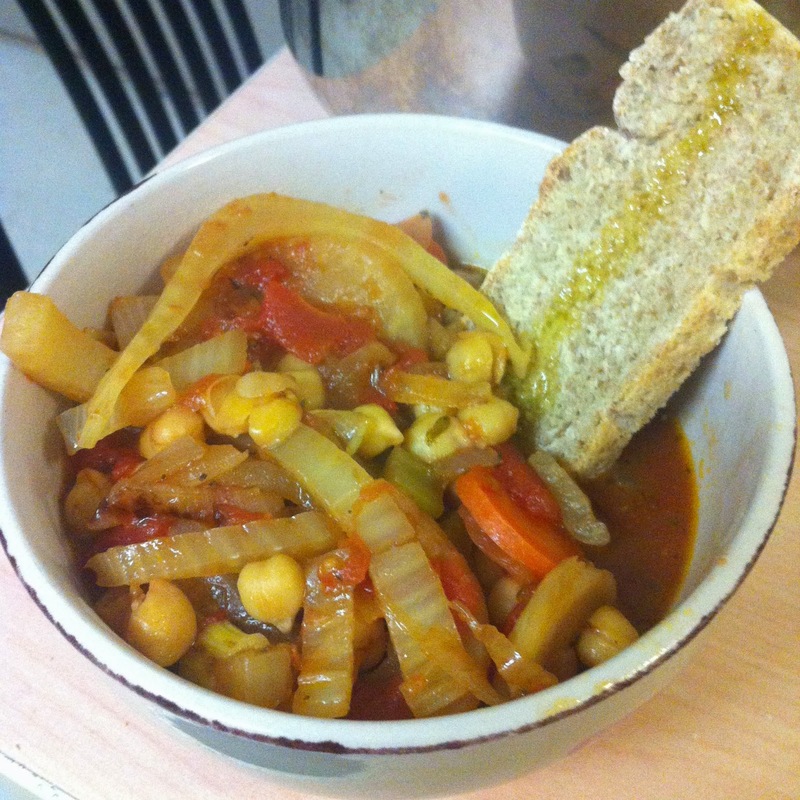 This is an incredibly filling and healthy stew with fennel, tomatoes, and chickpeas. 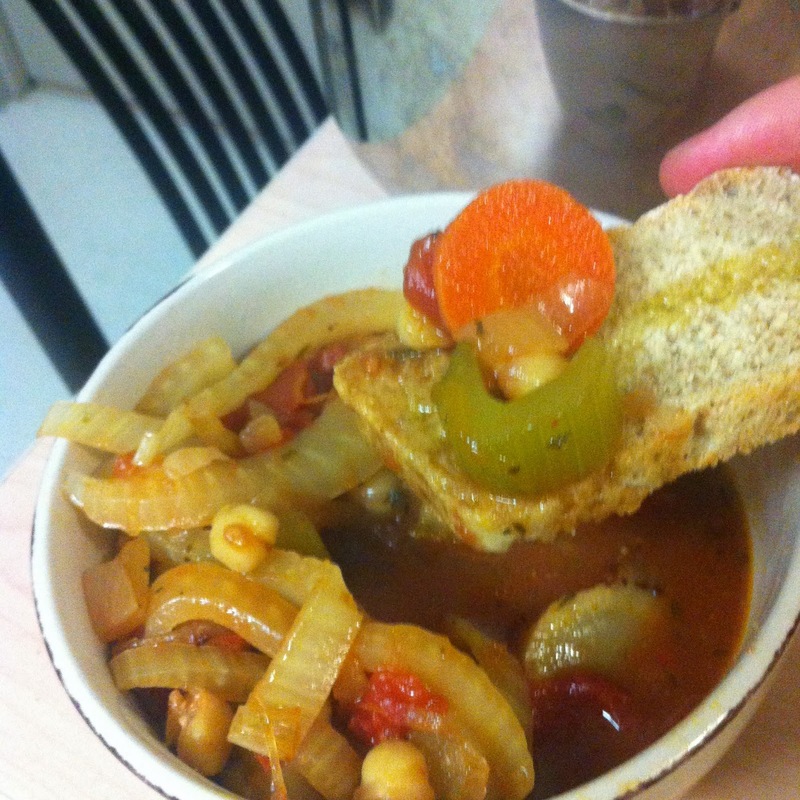 At just over 350 calories per serving, this stew is low in fat, and high in both fibre (has 75% of your daily intake) and protein (with just under 20 grams per serving). 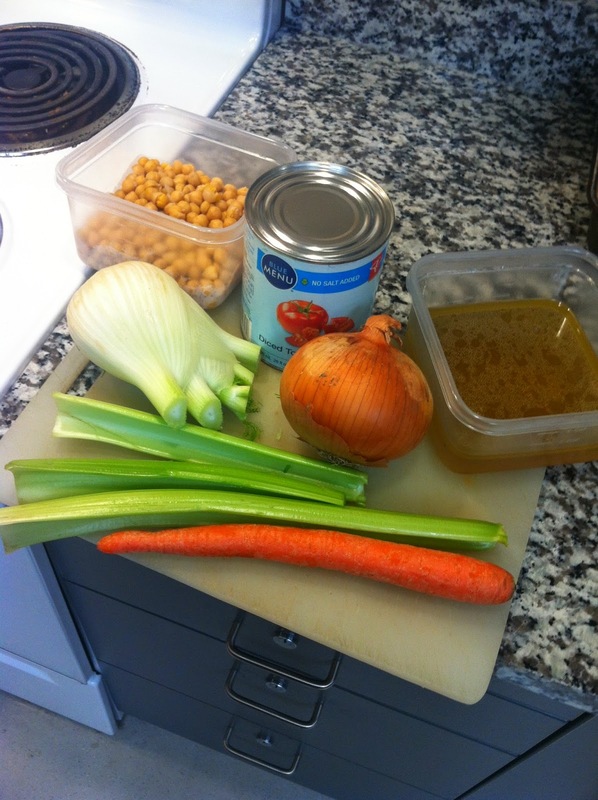 This recipe makes 4-5 servings, which I always look for since I'm always down for leftovers as lunch. Preheat the oven to 350 degrees. 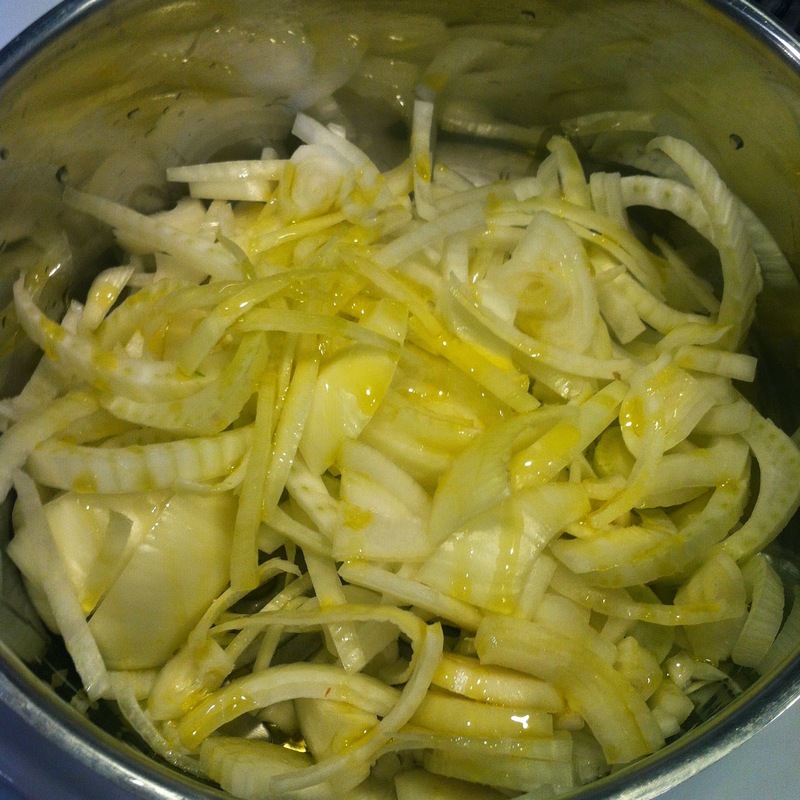 Then, slice both the onion and fennel and sauté in a large sauce pan with some olive oil for four minutes. 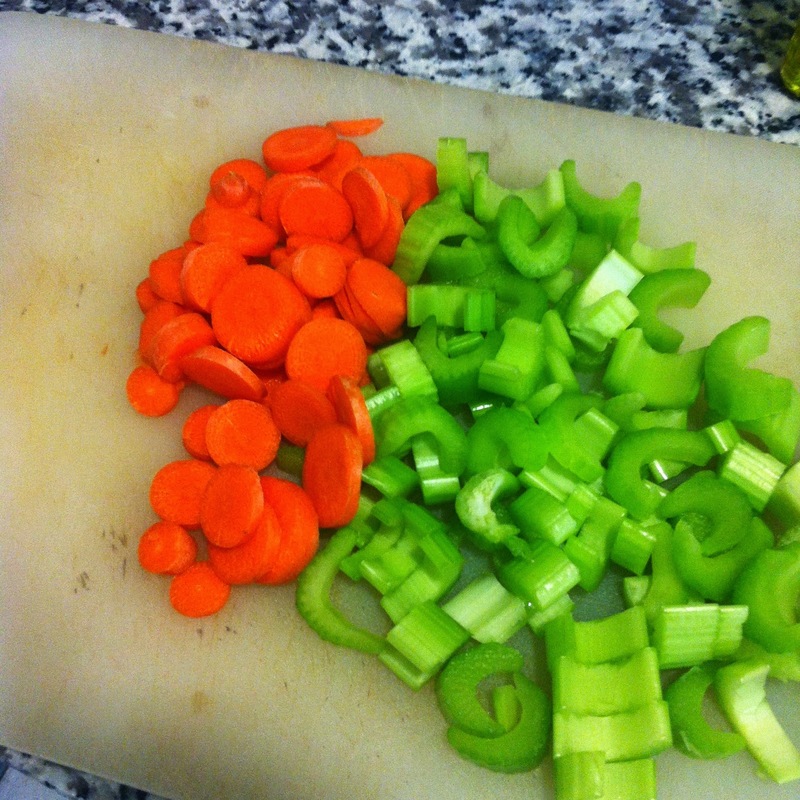 Peel and quarter the carrots, slice the celery stalks, then add them into the sauce pan. 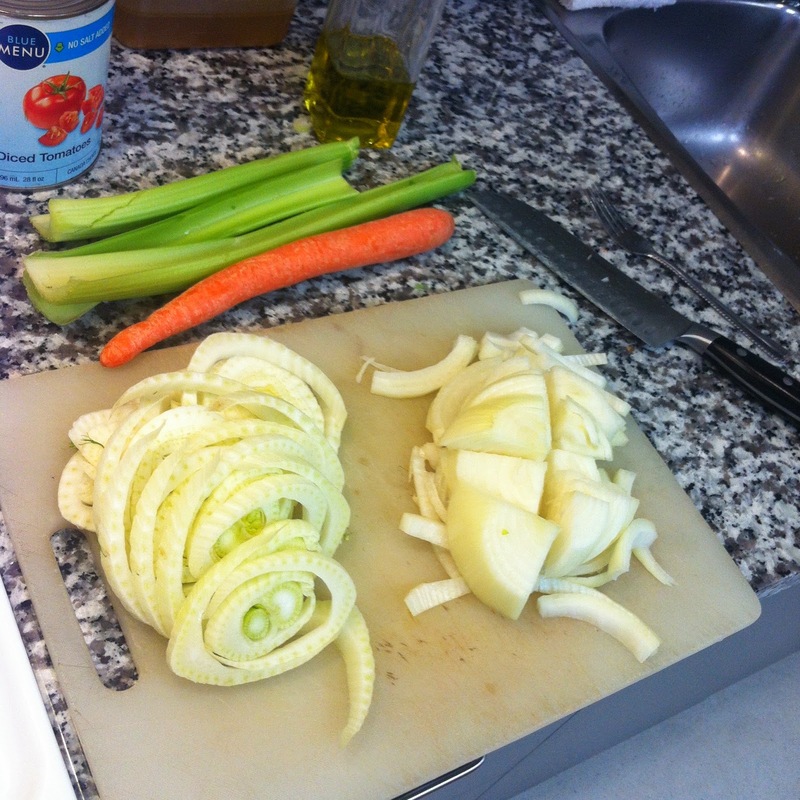 Now, the original recipe calls for tomato paste and white wine to deglaze the pan, but I'll be honest with you, I left these items out, to deglaze instead, I used half a cup of water with two tablespoons of balsamic vinegar. Deglazing the pan (letting a liquid simmer, with or without the ingredients still in the pan/pot) allows the flavours baked into the pan to be rereleased into the dish. 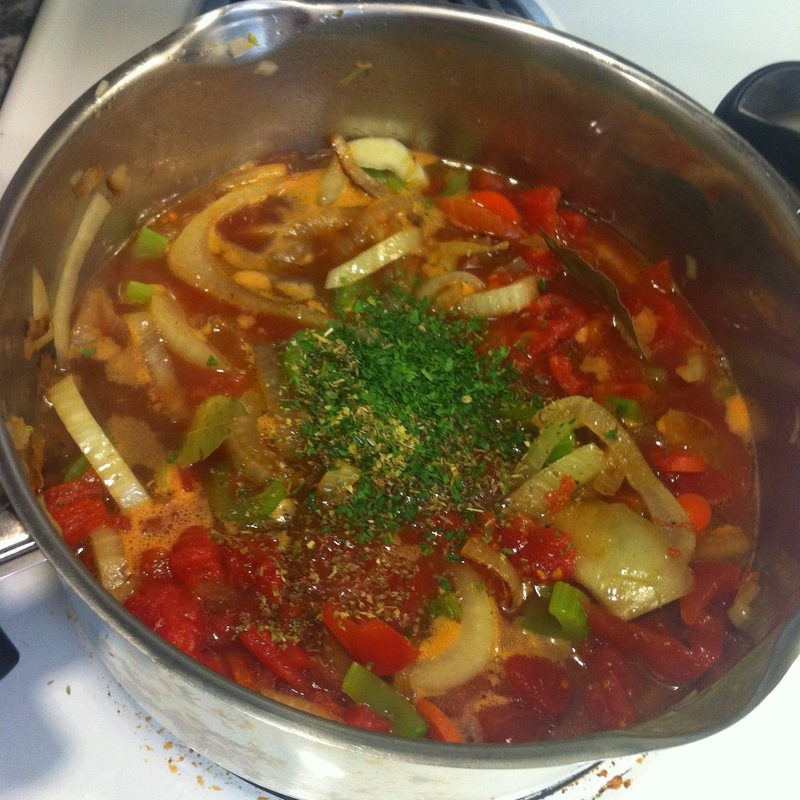 Then add the tomatoes, herbs, and the vegetable stock, and bring to a boil. 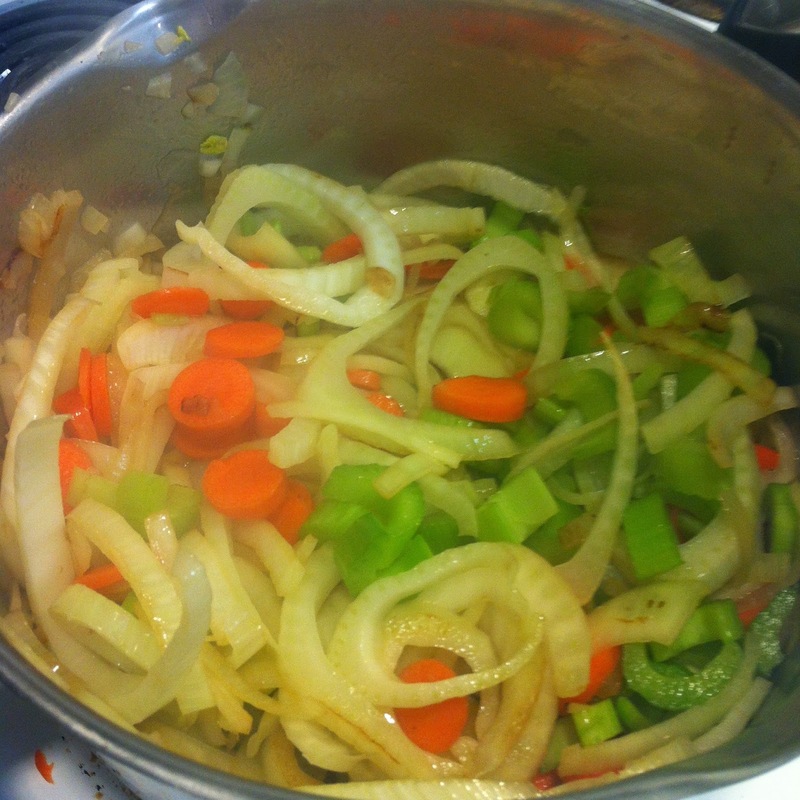 Then let simmer for half an hour. With ten minutes left, put the sourdough in the oven and drizzle with olive oil. 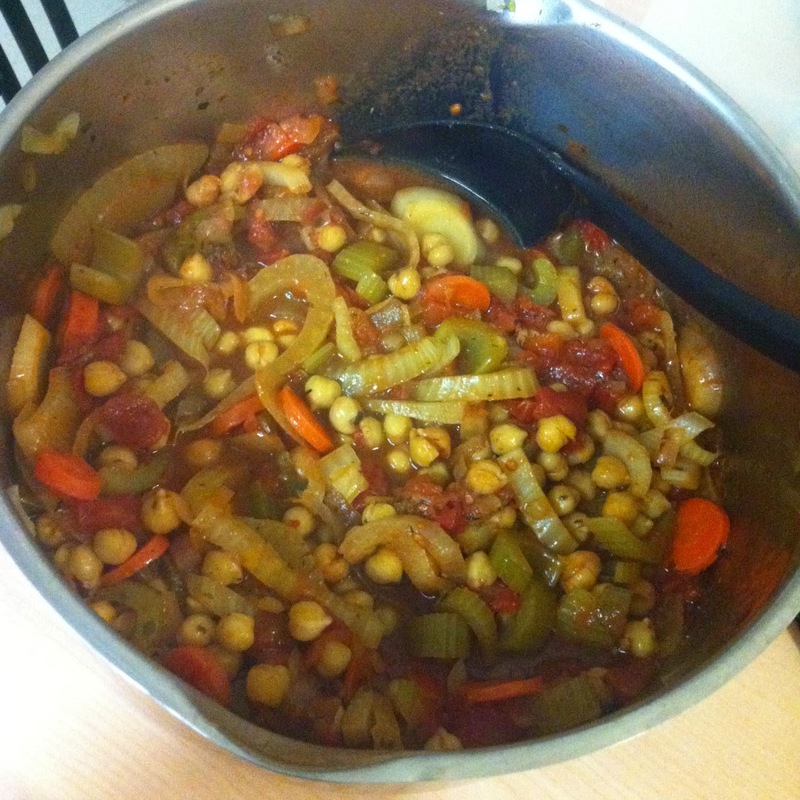 Add the chickpeas and let simmer for another five minutes, then serve with crispy sourdough bread!